On May 28, 2017, a Muse got married. For seven years, I've been working with Alicia Ostarello, my fellow founding Muse, to craft the most personal, loving, unique, and memorable words for other people to read at weddings. In that time, we've worked with hundreds of clients on maid of honor speeches, thank you toasts, father of the bride and mother of the groom speeches, wedding ceremonies, and, of course, wedding vows. We've learned an immense amount about wedding planning, wedding customs, traditional ideas, modern trends, and unique elements that people invent. We've been there for people who wait until the last minute to write their vows. We've booked officiating gigs 18 months in advance. We've waited in quiet hallways with brides before the show. We've hosted speech coaching sessions in my living room. 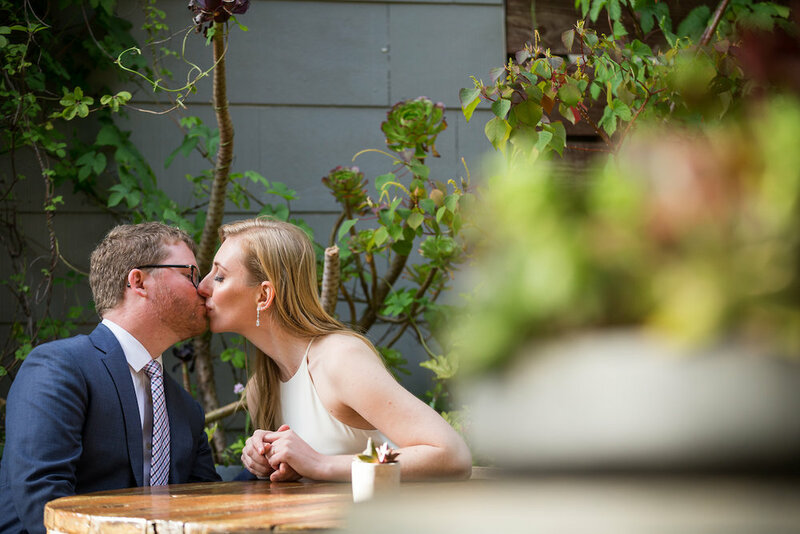 After all this time watching weddings unfold from a quiet corner of the proverbial room, one Muse got an insider's view of planning a wedding. Please join me in the upcoming series recounting these new perspectives on the wedding experience in A Muse Gets Married.